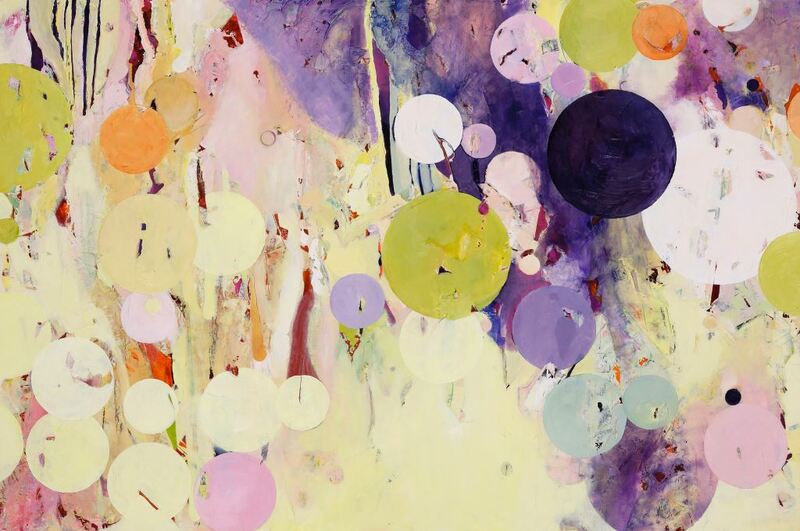 Sunday, May 19, 2019 – 3 to 4:30 p.m.
Peggy Pownall is a mixed media painter working as an Artist-In-Residence at Studio Channel Islands in Camarillo since 2008. She received her B.A. from Pepperdine University and has undertaken further studies at Studio Art Centers International in Florence, Italy. Her work is a visual expression of themes such as identity, longings, personal mythology and iconic memories. A lively pallete, combined with bits and pieces of old maps, journals, sewing patterns, blueprints, photos, notes and books may be stitched together, suggesting life’s pathways and spaces and search for life’s elusive equilibrium. $15 for general public; $10 for seniors. FREE to Focus on the Masters Members. Join us for AfterGLOW, a celebratory supper at the home of Karen Hoffberg immediately following the program. Paid reservations are essential & required prior to May 14. We expect this AfterGLOW to sell out.